Goodreads Synopsis: If life were fair, Jam Gallahue would still be at home in New Jersey with her sweet British boyfriend, Reeve Maxfield. She’d be watching old comedy sketches with him. She’d be kissing him in the library stacks. First off before my review, I want to thank Jen @ YA Romantics for sending me a copy of Belzhar! Thanks so much! I was definitely drawn into reading Belzhar because of the book cover, it was so interesting and complex, I knew I had to pick it up ASAP! 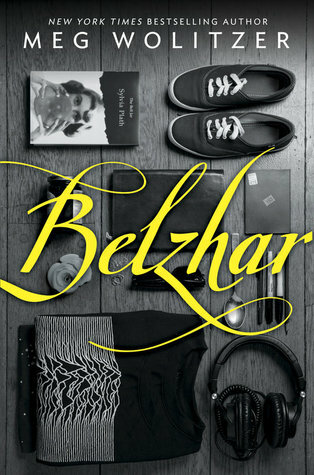 Belzhar by Meg Wolitzer was fresh, intense, and emotional it is definitely a book you need to read yourself to experience it. therapeutic boarding school in rural Vermont. In The Wooden Barn, she is part of a class called Special Topics were students that come out of the class felt changed and different about themselves. Jam is one of the students in the class and she does not know why she is part of it. As the story moves on, students in the Special Topics class have to read The Bell Jar by Slyvia Plath and write in their journal. The tension and supense kicks up and Wolitzer will stun you with how an amazing book she has written. Besides the cover and title, Belzhar drew me in because of it's plot. It was simple, straightforward, and even had flashbacks to Jam's life before the school, it all was so clear to read. Jam was such a opening character and you could definitely feel the emotions she was going through. All the other characters, such as the students in Jam's Special Topics class: Sierra, Matt, etc all had such a complex story it was amazing just reading it. You feel for every character and the experience they went through! So much feels! Another aspect of Belzhar that appealed to me was its action. While there may not have been guns and stabbing, there was suspense and tension in all of the character's stories. Wolitzer definitely had the perfect writing for this book and she hits everything that appeals to a reader's emotions. Definitely pick this one up! Belzhar was unique and unusual and that is what made reading it fun and exciting. Try this one now! I really want to read this. I hope I get my hands on it soon! I've heard really great things about this book and it turns out that the plot is nothing like I originally assumed. 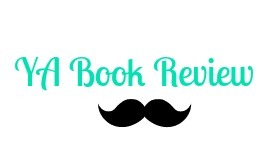 But I love poignant contemporaries so I will definitely be reading this one!